HOLY CORE! This is gonna be an AWESOME-LOOKING fan film! 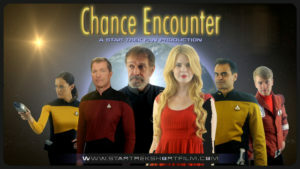 One of the best TNG-era fan films I’ve seen is Chance Encounter, co-written and directed by GARY O’BRIEN out of Great Britain. It was crowd-funded in mid-2016 for a measly $2,500 (£1,700) and released in February of 2017. Since then, it’s piled up nearly 85K views and was a finalist in three different categories in this past year’s BJO Awards. So what is Gary doing for an encore? The answer to that was almost a very disappointing “nothing,” as a Kickstarter campaign at the beginning of this year for THE HOLY CORE resulted in pledges that didn’t even reach half-way to Gary’s $11,000 (£8,700) goal…and with Kickstarters, if you don’t make it to your goal, you get zero. But then, a month later on May 7, Gary announced that an angel investor had given him the full amount necessary to complete the entire Holy Core production…! As you can see from the above Twitter video, there were quite a number of ambitious sets planned for this project, all of them shown with exciting-looking virtual CGI animations. But could Gary pull off building all of these sets for real…? Author Jonathan LanePosted on December 11, 2018 December 14, 2018 Categories Fan Film Features, NewsTags Chance Encounter, Gary O'Brien, The Holy Core6 Comments on HOLY CORE! This is gonna be an AWESOME-LOOKING fan film! It’s a MIRACLE as THE HOLY CORE finds an ANGEL DONOR! This is turning out to be a week of VERY good news for Star Trek fan-funded projects! As I reported yesterday, the Star Trek rock band, The Roddenberries, managed to just reach their $9,500 Kickstarter goal with less than an hour left! The Romulan War was able to extend their Indiegogo campaign an extra 30 days, and now they’re now nearly 75% of the way to their $10,000 goal. But by far the most shocking (in a VERY good way!) news came yesterday when writer/director GARY O’BRIEN announced that his newest fan film project, THE HOLY CORE, has been fully funded by a single donor! At the end of March, the situation wasn’t nearly as rosy for The Holy Core, as their $12,000 Kickstarter (about £8,700) didn’t even reach the half-way point and received nothing. 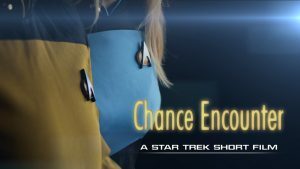 That was surprising for many of us, as Gary’s previous fan film, Chance Encounter, is considered one of the best ever low-budget Trek fan films. I spoke to a very disappointed Gary after the failed Kickstarter, asking if he might try an Indiegogo instead (or multiple campaigns) and perhaps make the film in smaller installments. Gary wasn’t sure what he would do next, and I didn’t want to press him. Then, a week or so later, Gary told me privately that he might have found funding, but to please keep it under wraps until he knew for certain. As the weeks went by, things sounded increasingly hopeful. But I was still asked to hold off sharing anything until the money was “in the bank.” After all, Murphy’s Law is still a thing. He’s ALEXANDER MAYER, and he was the single largest backer of Chance Encounter. He’s about my age and hails from Germany. He’s a big TNG and Voyager fan and likes to back projects he thinks look good. Among others, he has funded Tommy Krafts’ sci-fi film about the Runaway androids (not sure if he funded it all or not though). Other than that, I don’t really have much info. Well, I for one would like to personally THANK Herr Mayer for his super-generous support of these three fan films! 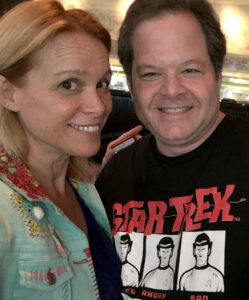 Hopefully, when fans see the quality of The Holy Core, perhaps they will realize that Star Trek fan films are still a thing worthy of their support and donations. Author Jonathan LanePosted on May 8, 2018 Categories Crowd-Funding Blogs, Fan Film Features, NewsTags Gary O'Brien, The Holy Core7 Comments on It’s a MIRACLE as THE HOLY CORE finds an ANGEL DONOR! Author Jonathan LanePosted on March 26, 2018 Categories Fan Film Features, NewsTags Chance Encounter, Gary O'Brien, Paul Laight, The Holy Core5 Comments on HOLY CORE, BATMAN! This TREK fan film KICKSTARTER has only 5 DAYS LEFT! 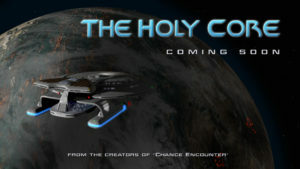 Today is a good day to PLEDGE…to “The Holy Core” Kickstarter! Hey, folks. 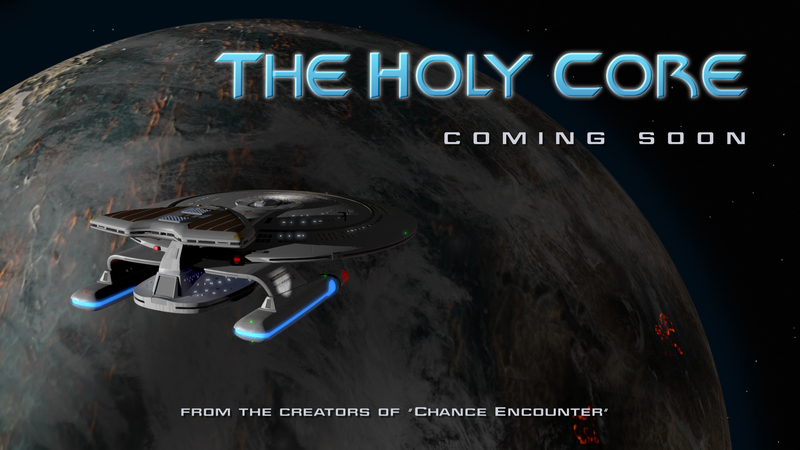 Just a friendly reminder that the Kickstarter for THE HOLY CORE, a new Star Trek fan project from the folks who brought us CHANCE ENCOUNTER, has only 13 days left to go! There’s already 53 backers, and they’re up to nearly 1/3 of the $12,000 they need to raise. But remember that if they don’t make it to their goal, they get nothing…zero, zip, zilch, nada. And that would be such a shame. Why you ABSOLUTELY should DONATE to this KICKSTARTER for THE HOLY CORE (from the makers of CHANCE ENCOUNTER)! One of my favorite Star Trek fan films is CHANCE ENCOUNTER, co-written by PAUL LAIGHT and GARY O’BRIEN, and directed by Gary. This 20-minute, TNG-era fan film was a perfectly-acted love story with wonderful music, tight editing, very nice costumes and uniforms, and even some physical TNG-era sets. Usually for this era, fan films just shoot actors in front of green screens and composite in the complex 24th century starship interiors as background images. But these guys built an actual shuttlepod cockpit and turbolift set. It’s been over a year since Chance Encounter debuted, funded with the help of a Kickstarter campaign that raised £1,862 (about $2,700). Since then, many fans have wondered when we might see another fan production from this team. The answer was revealed last Thursday when Gary and Paul launched a new Kickstarter for their second project: THE HOLY CORE. And that’s just a TEST…wait’ll they shoot the real film!!! And for anyone wondering if this’ll be just another love story disguised as a Star Trek: TNG episode, the answer is no. This time, things will be much more fast-paced and filled with deep ethical and moral questions. The crew of the USS Vigilance, a Nebula-class starship, has a mission to help the inhabitants of the planet Vita II. But things aren’t as they first appear, and the crew must wrestle with the difficult topics of faith, science, sacrifice, and destiny itself. As such, I’ll be publishing reminders about this Kickstarter over the next three and a half weeks, and I hope you’ll join me in both donating and spreading the word. This one is really worth it! Author Jonathan LanePosted on March 5, 2018 Categories Fan Film Features, NewsTags Chance Encounter, Gary O'Brien, Paul Laight, The Holy Core6 Comments on Why you ABSOLUTELY should DONATE to this KICKSTARTER for THE HOLY CORE (from the makers of CHANCE ENCOUNTER)! My life isn’t usually all that interesting or exciting…at least, not all in one week. But what a week it was! CHANCE ENCOUNTER is available for viewing! The bar has just been raised for Star Trek fan films. On May 2 of last year, Gary O’Brien and Paul Laight launched a Kickstarter to fund their latest short film. Based in Oxfordshire in the United Kingdom, over the past eleven years Gary and Paul had collaborated on eight other short films. At first, their script had nothing whatsoever to do with Star Trek. It was, quite simply, a chance encounter between an older man and a younger woman. Then Paul suggested adding in a science fiction element, and Gary (who would later be crowned the U.K.’s “Ultimate Trekker” and win a trip to Los Angeles to tour Paramount Studios) suggested that the idea might work well as a Star Trek story. Their Kickstarter was surprisingly modest, asking for only £1,700 (the equivalent of only about $2,500). They ultimately raised £1,862…including £10 me yours truly. And although Gary put in some of his own money, you will likely be shocked that a fan film of such quality could be made for so little…especially considering that the actors were paid a modest amount (production predated the guidelines requiring no one be paid) and that two very impressive sets were constructed, props created, uniforms purchased, visual FX rendered, and original music composed. And the entire project was completed in just half a year! You can discover more about this project, find out about the cast and creators, and see some fun behind-the-scenes videos on their website. Author Jonathan LanePosted on February 1, 2017 Categories Fan Film Features, NewsTags Chance Encounter, Gary O'Brien, Paul Laight7 Comments on CHANCE ENCOUNTER is available for viewing! CHANCE ENCOUNTER films final “extra” scene in turbolift! 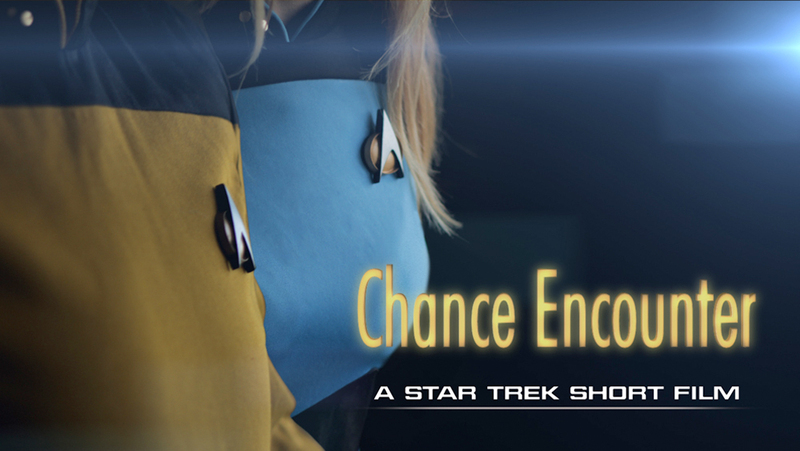 CHANCE ENCOUNTER, a short Star Trek fan film out of the United Kingdom, is filming one final scene today (Saturday). Most of their shooting wrapped back in August, but as post-production progressed and the final film began to take shape, the producers felt that one more scene was needed…along with hiring a new actor to play the role of Captain Janssen.